Anyway, glad that it helped. Code modified to reflect the more correct version VM showed. Hi, I converted the project to VB.NET but when declaring the class (see VM’s snippet) I get a AddClass: undeclared identifier error. Any help would be appreciated. Not sure if that helps or not, but without a little more information, this is the best help I can provide. Thanks for the prompt reply, here’s my code. Basically the function returns the current year instead of adding two numbers. 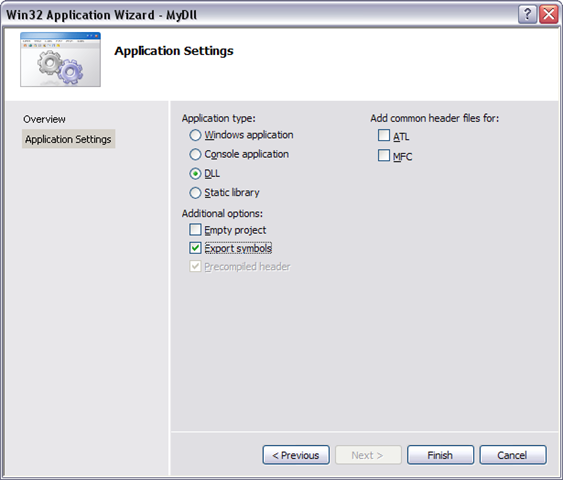 // MyDll.cpp : Defines the exported functions for the DLL application. 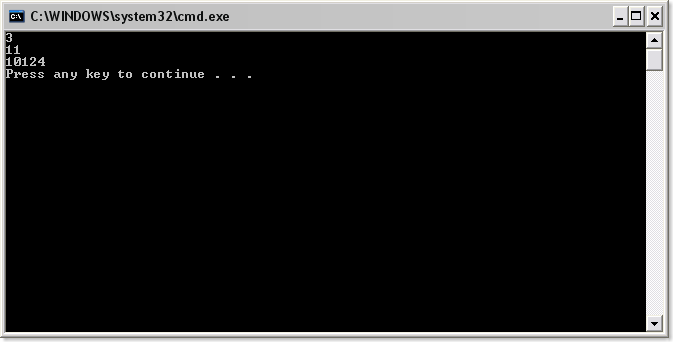 Here’s the error when compiling MyDll.cpp. This got cut off, don’t know why. I can’t tell for sure from your comment, but you aren’t trying to define the VB class in the C++ project correct? 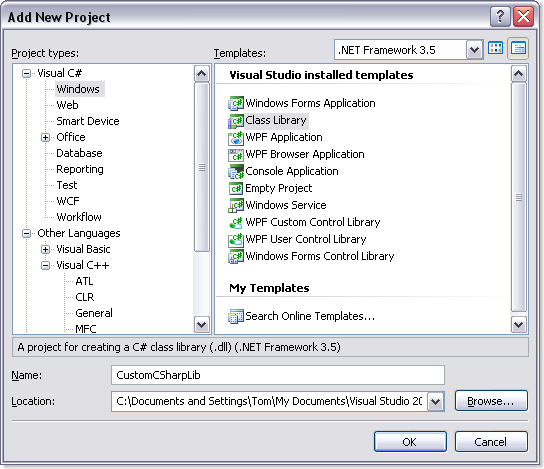 What, I mean is that you have created a new VB.NET class library project – called VBNETLib – and are adding a reference to that project in your C++ project(MyDll -> Properties -> Common Properties -> Framework and References)? 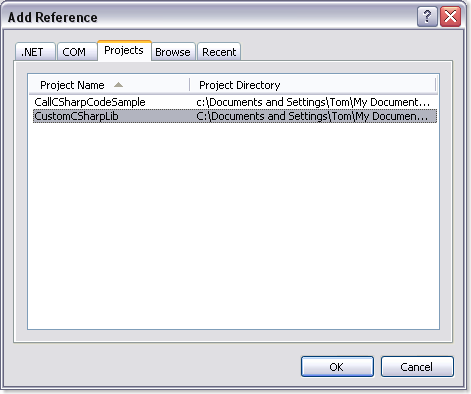 Assuming that the above is correct, then you will want to make sure that you are importing the correct namespace. 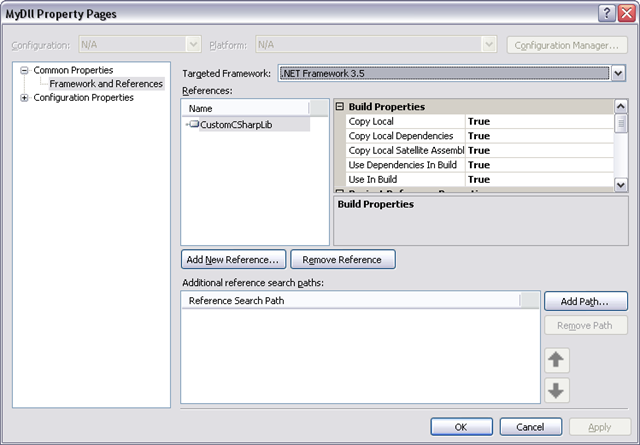 You can check by right clicking on the vb.net project and selecting properties. 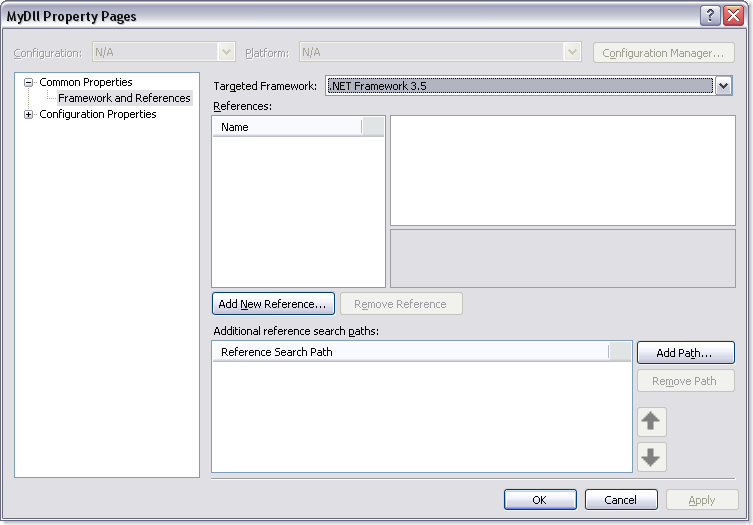 On the application tab, you should see an entry called Root Namespace. That is what you will use in your using in the C++ code. 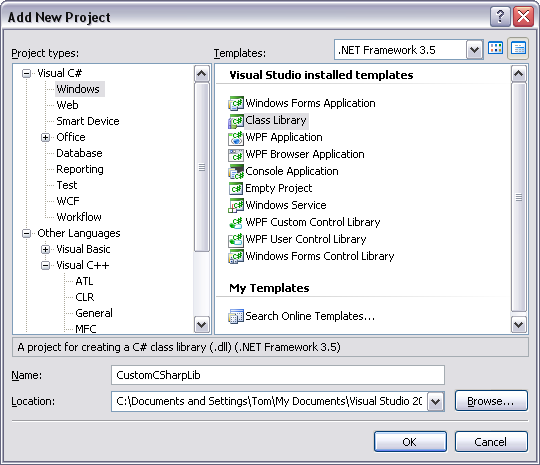 1) Added a vb.net class library project to the demo solution. I called mine VBCodeLib. 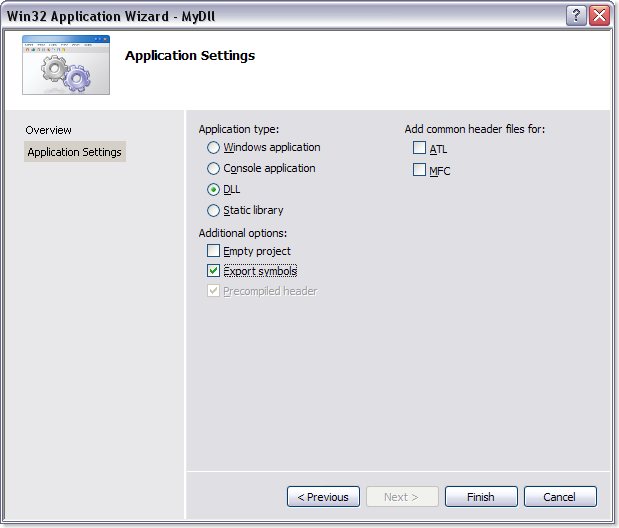 3) I added a reference to the VBCodeLib project in the MyDll project. 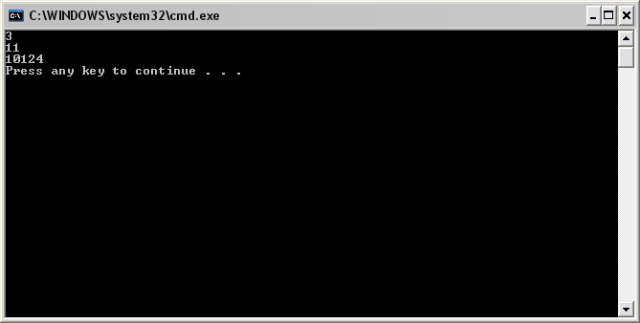 Right click on MyDll. Select Properties. 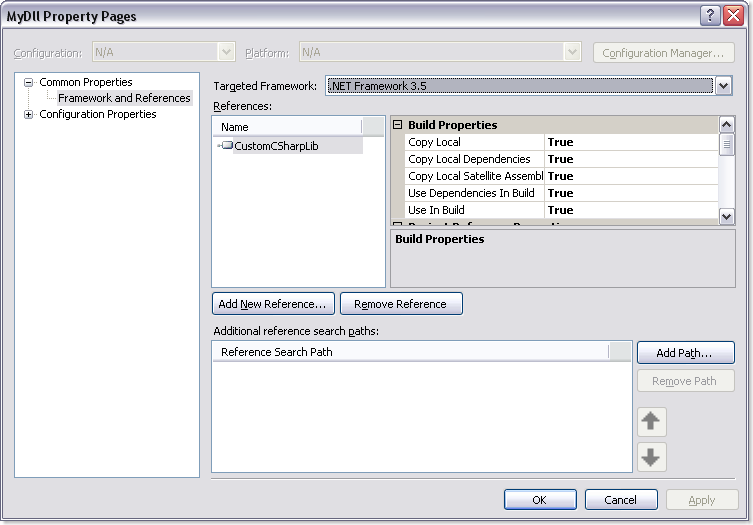 Then in the navigation treeview, I selected Common Properties -> Framework and References. 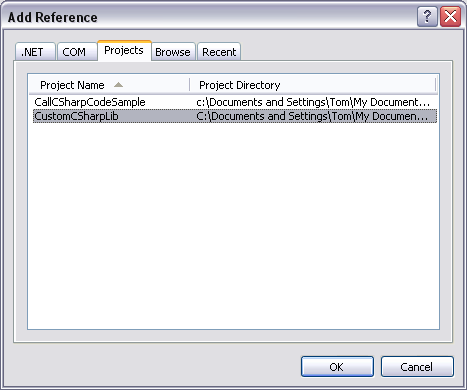 Clicked the Add New Reference button, and from the projects tab, I referenced the VBCodeLib project. 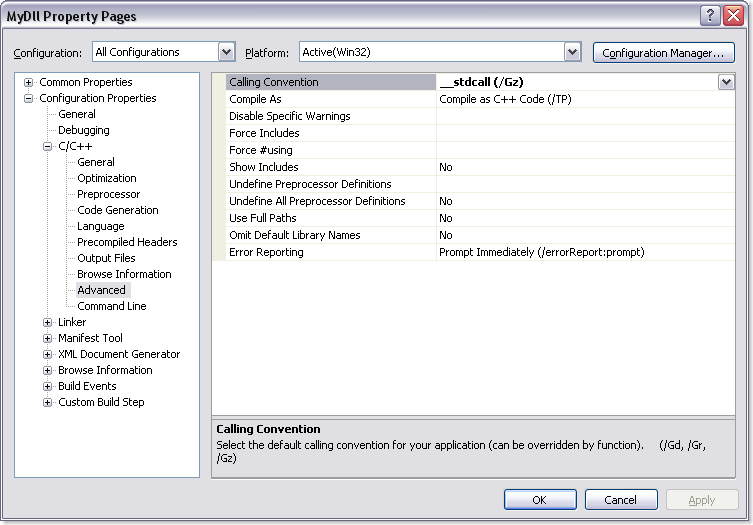 // CallCSharpCodeSample.cpp : Defines the entry point for the console application. Everything compiles and works as expected. after checking out your code, I started to feel a bit discouraged… I had the exact same code. 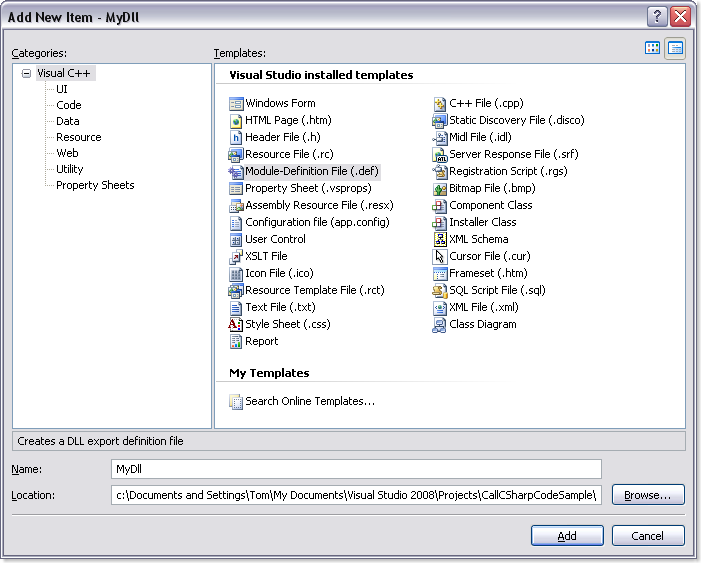 Then I figured the problem must be in the VB project cause it compiled OK with the C# one. 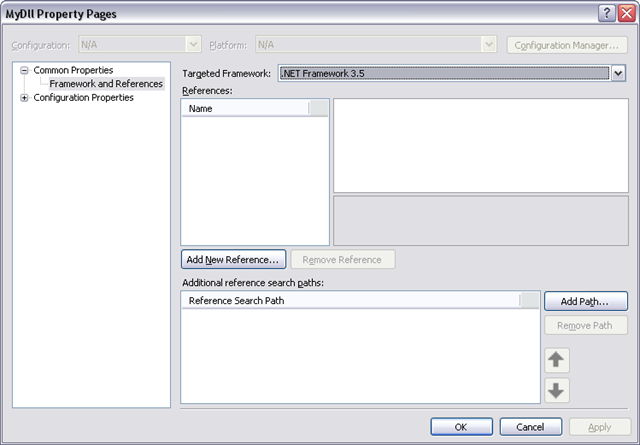 I tried removing the “Namespace VBNETLib” declaration and bingo, the dll compiled without errors. When I checked your code, you had in fact not put that line like in C#. I tried removing the ns declaration from the C# code which resulted in an error. 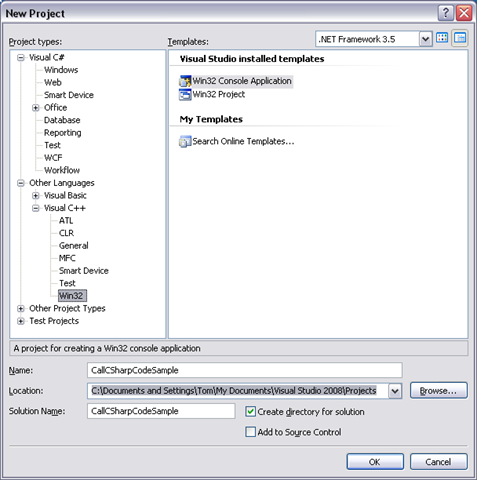 In the end, VB and C# are different like the US and Europe… Different but alike. On an other note, I tried the code in the debugger and it works great but when I tried running the exe, it gave me a File Not Found error. I put the MyDll.dll file with the exe. Anything else I might have missed? Fixed the problem. Thanks a lot for your help! Turns out I was wrong about the last problem. I can LoadLibrary() AND GetProcAddress() but the call fails. Any ideas? All in the same directory. 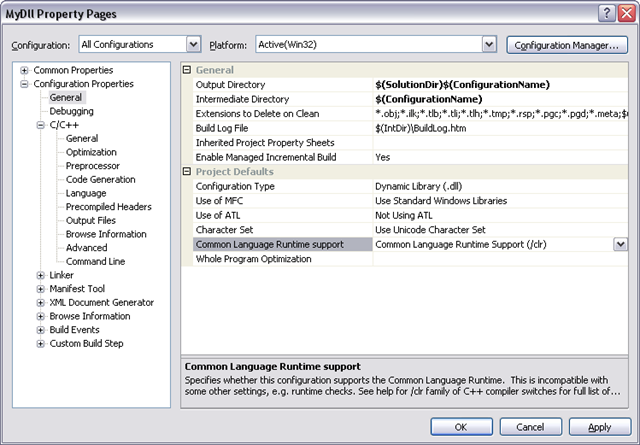 This is an excellent article for calling the managed C# dll from C application. 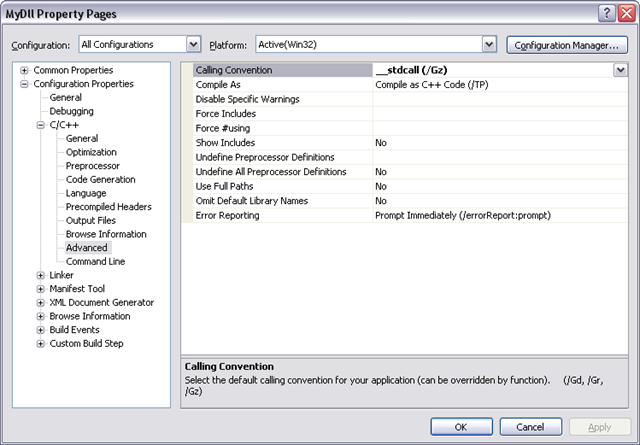 I have a question regarding the passing C# string back to C function caller. 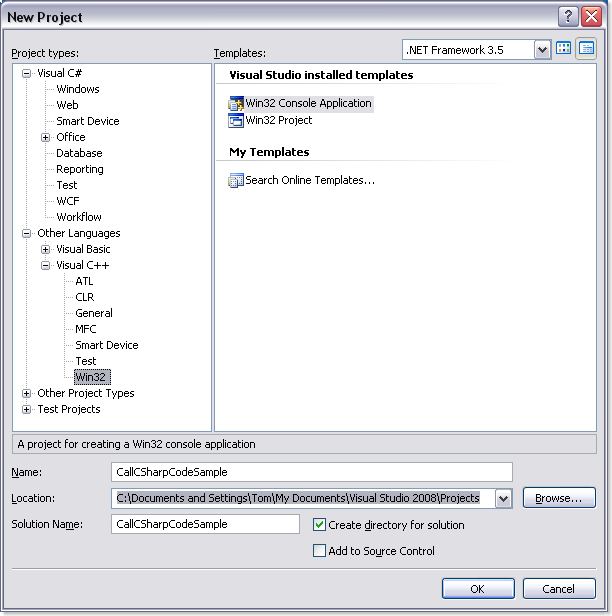 In C, I’d like to get a string stored in Managed C# dll to display in C, how do I do that? Anyway, like I said – I’m not an expert at this, so this might not be the recommended way of accomplishing this But, it seems to work ok.
great article . thanks for whareing . I’m glad you liked the article. I’m a little unclear on your question though? Can you provide a little more information? 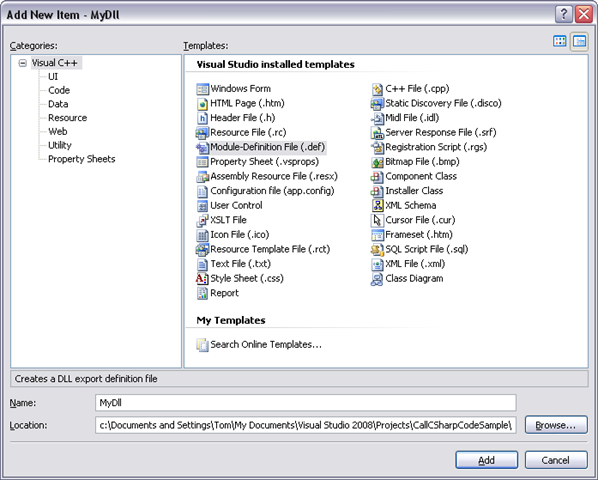 how can I call those two methods from MyDll.dll? Tom – thanks for this great article. 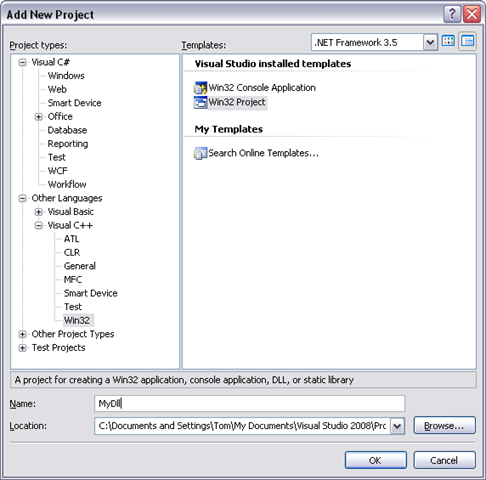 I managed to make c++ wrapper for VB.NET. However I cannot use it in Excel VBA. 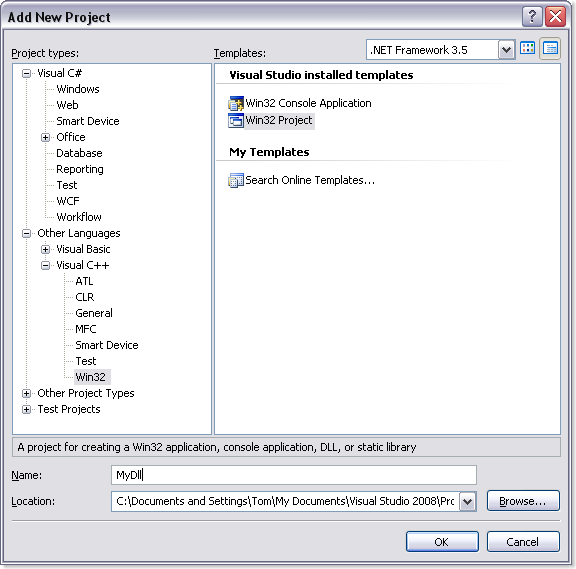 Workbook_Open() event. 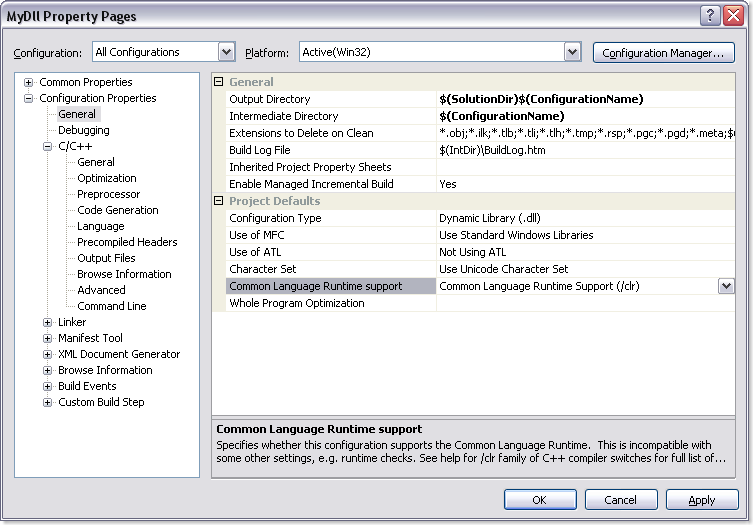 I watched current directory in c++ dll and it is the one containing VB.NET dll.